The contribution of indoor air pollution is estimated to vary between 22 and 52 per cent, according to a UNEP study which said emissions from household cooking and heating will need to be reduced to greatly improve air quality. 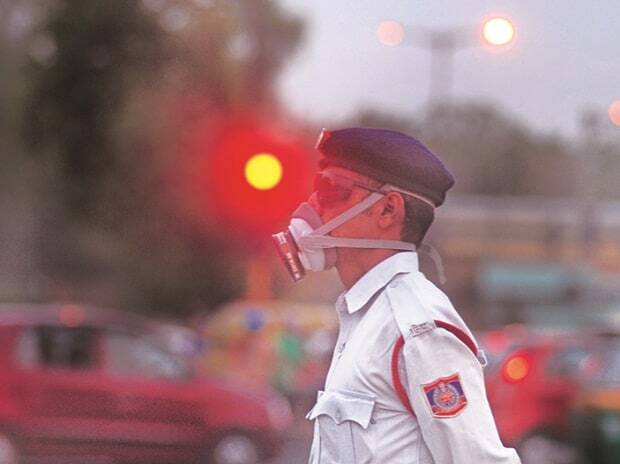 Amid an alarming rise in air pollution in the national capital, the United Nations Environment Programme has come out with 25 measures to combat it. Use of clean fuels, electricity, natural gas, liquefied petroleum gas (LPG) in cities, and LPG and advanced biomass cooking and heating stoves in rural areas, promoting the use of electric vehicles, encouraging a shift from private passenger vehicles to public transport are among the methods suggested by the UNEP in its report. The report was titled 'Air Pollution in Asia and the Pacific: Science-based Solutions'. Another source of pollution that was highlighted by the UNEP report was fugitive dust. "This fugitive dust can arise from unpaved roads and infrastructure development and is a serious air pollution problem in areas with expanding transport and construction networks," the report said. For example, some cities in India attribute more than half of their PM2.5 to this dust. Several technical options are available to policy makers to address these problems, including resurfacing unpaved surfaces and dust suppression using water and suitable chemicals. The report noted that in India the contribution of indoor air pollution to ambient air pollution is estimated to vary between 22 and 52 per cent. "A number of studies indicate that reducing emissions from household cooking and heating may be required to substantially improve ambient air quality in some parts of Asia and the Pacific," the report noted. It said every day around 93 per cent of the world's children under the age of 15 years breathe air that is so polluted it puts their health and development at serious risk. It said the 25 solutions can tackle air pollution in the Asia-Pacific region, where 92 per cent of the region's population is exposed to dirty air. In India, the government has taken a cross-sectoral approach, asking power companies to buy agricultural waste from farmers and convert it into biomass pellets that can be co-fired with coal. In addition, India is exploring the potential for biomass gasification, the use of seed drills that incorporate residues as a mulch (happy seeders), and bio-methanation processes that could put agricultural residues to productive use and make open burning bans more effective, the report said. The UNEP report clearly places emission reduction from industry and power sector on top of the list. Meanwhile, Greenpeace India said, "The UNEP report is another proof that we need to get our priorities right to tackle air pollution." "However, what we are witnessing in India for the past several years is quite contrary," it said in a statement. The draft National Clean Air Programme clearly failed to mention sector specific targets for reducing emissions from industry and coal power sector, it said. "More worse is the fact that MoEFCC and MoP have been diluting and extending deadlines of the implementation of emission standards from thermal power plants," it said. Sunil Dahiya, Senior Air Pollution Campaigner Greenpeace India said,"If we want to bring down the air pollution levels in the country, specifically in north india, then our top priority should be reducing emissions from fossil fuels, especially from coal thermal power plants, industries and vehicles and we come out with a NCAP with clear time bound sectoral targets.